POHANG, Republic of Korea - The amphibious landing dock ship USS Tortuga (LSD 46) embarked two MH-53E Sea Dragon helicopters from Helicopter Mine Countermeasure Squadron (HM) 14 off the coast of Pohang, Korea on March 12, in preparation to provide humanitarian assistance in support of earthquake and tsunami relief operations in Japan as directed. The ships of crew more than 250 Sailors were recalled Friday night on March 11, and out to sea in less than six hours after the initial earthquake to take on landing craft unit and embark HM 14 aircraft. The Whidbey Island-class amphibious ships like Tortuga have the largest well deck capacity of any Navy ship and are ideal platforms for troop, vehicle and cargo transport. With two landing craft utility (LCU) vehicles from Assault Craft Unit 1, which are capable of transferring more than 100 personnel and vehicles ashore per landing to provide required assistance. “HM 14’s heavy lift capabilities have been essential in past disaster response efforts in the region. They can take engineering equipment and large amounts of cargo to places they would otherwise not be able to go,” said Rear Adm. Richard Landolt, commander, Task Force 76. During Typhoon Morakot disaster response, HM 14 flew 55 sorties and lifted more than 260,000 pounds of gear, including excavators and engineering support equipment. 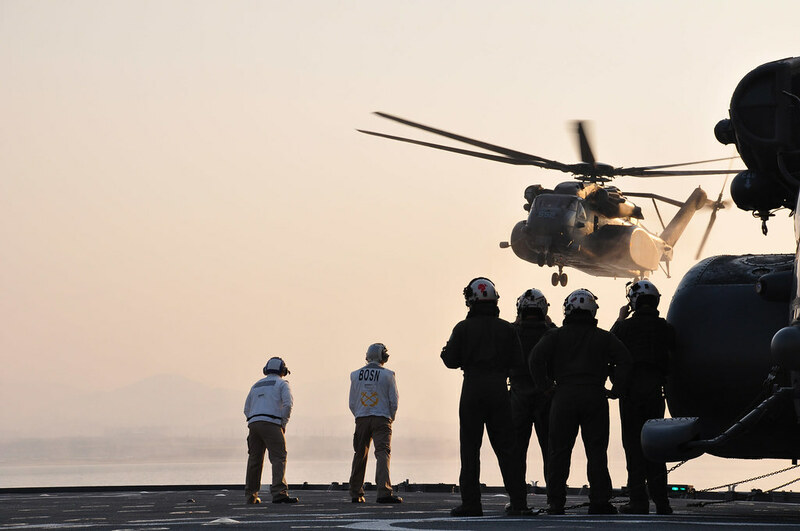 Tortuga, along with the rest of the Essex Amphibious ready group are transiting toward Japan to provide assistance to areas impacted by the 8.9 magnitude earthquake that occurred off the coast of northern Honshu and subsequent tsunami.